Archaeologists from the University of Colorado excavated about 1/3 of Escalante Pueblo in 1975-1976. From their studies, they estimate the original structure to have been built about 1129 AD, when the influence of Chaco Canyon was waning. Most of the pottery they found is of Northern San Juan types and not Chaco-style. The original folks who built Escalante lived here about 10 years before moving on. 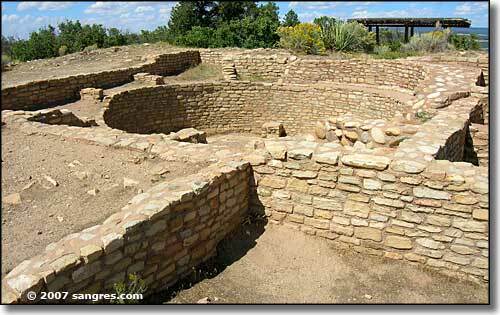 Another group of Northern San Juan people reoccupied the pueblo briefly around 1150 AD. 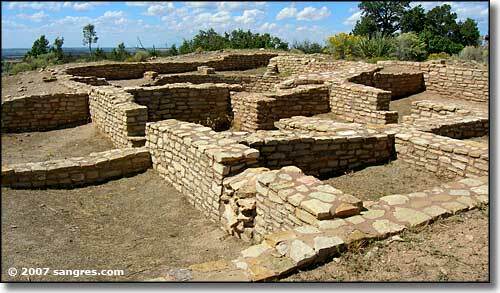 There was a final occupation of a few rooms of the pueblo around 1200 AD. All around the hill on which Escalante sits, 18 other smaller pueblos have been found. These other pueblos were more for family living and not large enough for a central "town." Each of the smaller pueblos have their own kivas but Escalante has a Great Kiva. Great Kivas are buildings for special community activities, including important religious ceremonies.